The Cheyenne to Black Hills stage line was in operation for eleven years, from 1876 to 1887. It carried mail and gold out of Deadwood and was often the target of highwaymen and bandits. According to the map on the BLM website the route went north out of Cheyenne along what is now I-80 then to Fort Laramie, then along US 85 north past Newcastle and around then on to Deadwood. According to UltimateWyoming.com Buffalo Bill Cody, Calamity Jane and Bill Hickok all used the road the stage line at one time or another. It is claimed that Calamity Jane drove a stagecoach after the driver was shot, but this is disputed. The stage line was held up multiple times and there were several gunfights and robberies. According to the Black Hills Visitor website, the stage ended when the he Fremont, Elkhorn and Missouri Valley Railroad reached into central Wyoming and the Black Hills. It had been in operation for just over 11 years. There are still a few stage stations and other relics of the past. Hot on the heels of the latest zombie invasion, the Cheyenne Little Theatre Players are already gearing up for their next major event. The 2013/2014 season kicks off the last week in September with the musical, Joseph and the Amazing Technicolor Dreamcoat. This classic musical is based on the Old Testament story of Joseph and his coat of many colors. Joseph is an interpreter of dreams, sold into slavery by his brothers after they sense he is their father’s favorite son. He rises through the ranks of the servants for an Egyptian millionaire, and Joseph’s life takes many twists and turns as it sets him on the journey back to his family and to his father. Joseph and the Amazing Technicolor Dreamcoat was penned by the talented team of Andrew Lloyd Webber (music) and Tim Rice (lyrics). The play is being directed by Travis Kirchhefer. Tickets for the show are on sale now. The cost is $24 for adults, $20 for seniors, $18 for students with a valid student ID, and $14 for children, 12 and under. Show dates are September 27-29 and October 3-6, 11-13, and 18-20 at the Mary Godfrey Playhouse. All tickets for the special performance on Thursday, October 3 are $10. Tickets are available through the CLTP box office, by phone (307-638-6543) or on their ticket website. The Cheyenne Little Theatre Players have been around for the better part of a century. With a strong force of local volunteers, they provide Cheyenne with an incredible amount of quality live entertainment. If you would like to show your support for the value they bring to the community, you can volunteer, on- or off-stage, make a donation to the organization, or just buy a ticket, sit back, relax, and let yourself be entertained. Five Guys Burgers and Fries opened their doors in 1986, in Arlington, VA. The owner, Jerry Murrel, have the four Murrel the option of either going back to school or starting a business. Since they opened, Five Guys has spread to over 1000 locations in over 47 states. And this summer, Five Guys bestowed their gift of manly sized hamburgers and heaps of fries to Cheyenne, WY. Feel like you could eat a horse? Don’t worry, Five Guys has a Bacon Cheeseburger for that. As you wait in queue, you can start off eating all the roasted peanuts you want. Those who have a manly appetite can get just one patty on their burger (Little Bacon Cheeseburger). And those with Epic Meal Time appetites can get two patties (Bacon Cheeseburger). Each one is smothered in your choice of toppings, draped in silky American Cheese, and loaded with the crispy bacon that would satisfy even the snobbiest of bacon enthusiasts. Not enough? Order some fries! Even the small fry comes with a mountain of extra fries piled ontop. 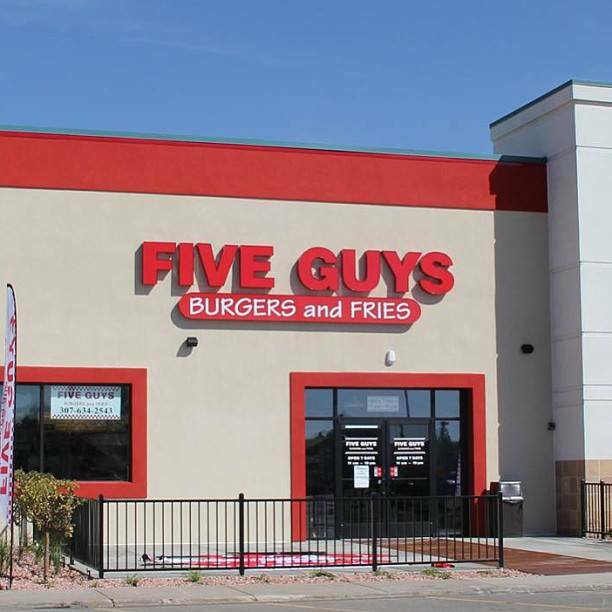 Come experience Five Guys, located at the Frontier Mall on Dell Range Boulevard, everyday from 11am-10pm. These are my questions as responded by the second half. Some answers may be similar as they both answered them individually. We met in junior high and started hanging out in high school when we were both in an improv group at our high school. Near the latter of our high school time, we were both heavily involved in the local music scene. We’ve been close friends ever since. How did you guys come about forming the band? This summer both of us were forced to move back to cheyenne and live with our parents. We had been discussing starting a band for a long time, but Cade was living in Laramie and I was in Fort Collins. When we both moved back to Cheyenne, we thought “what the hell. let’s start something up so we both don’t go insane.” and so it became. I would say that our style is post-punk, pop. We draw a lot of influence from older groups such as the Pixies and the Talking Heads, as well as newer indie acts. 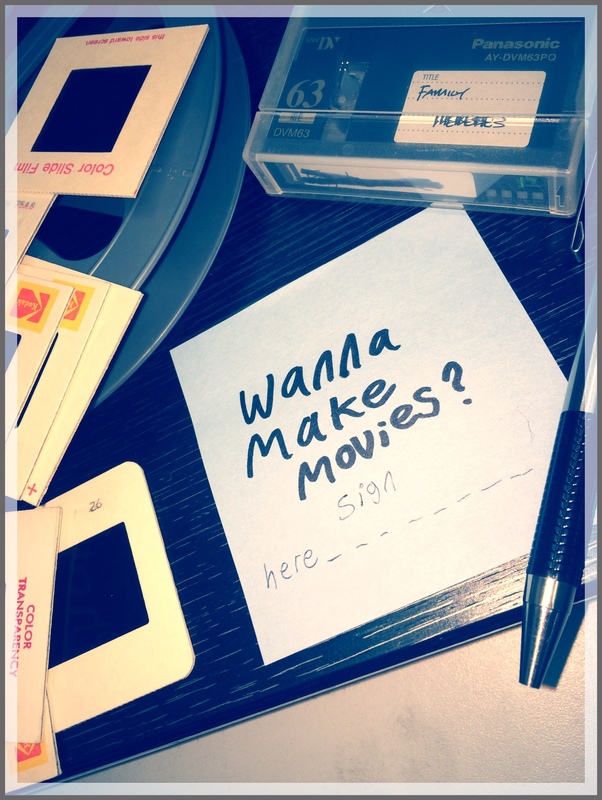 What do you do that makes you …well you? I think what makes us “us” is a combination of our individual inspirations as well as our joint inspirations. Cade brings a dancy, modern indie, aesthetic to the songs which I think compliments my grungy, formulaic, pop style. Where did the name The Smart Set come from? Why are guys only a two-piece band? We are only a two person band because … I think that’s all you need. I don’t know. I really like both ends of the spectrum. I like stripped down, minimalist groups and solo acts, and large orchestral groups. I think it was after we saw Liam Finn perform at Monolith that we decided that we could do it and still sound good. I noticed you guys have played Laramie County Community College a bit this semester, how did that come about? We were invited to play the battle of the bands and I guess the people involved with the student activities committee liked us and asked us to come back. Do you have any releases that are are available? We have a five song E.P. called “Tito Loves E.P.” that is available. However, you can currently only get it from us personally. On the 10th of December, we are playing a set with our good friends The Photo Atlas at Surfside 7 in Denver. We don’t have anything lined up before or after that, but hopefully we can get something soon. What is in The Smart Set’s future? Come January, we will be relocating to San Francisco, where we hope to expand the Smart Set word and hopefully go on a tour in the spring or summer. The Smart Set is currently a Cheyenne based indie rock band that plays fun dancey pop influenced music. I had the opportunity to interview them via email recently. Today I will Post my questions as answered from the first half of the band. Tomorrow I will Post the second. My name is Cade, and I play drums. We met back in junior high. Dillon was the cool kid. i was a fan boy, i just pestered him enough until he hung out with me. We had talked about it for like 2 years but never actually did it. I broke my neck this summer and had nothing to do, and we both had to move back to Cheyenne, so we started working on a few songs. I’d say we are a garage/pop/indie rock band. Being a two person band makes us…us. We’ve had people not know our name, but know us as the two piece from Wyoming. That, and I think this band is the band that we both have wanted to be in for awhile. We both had played with other people, and in my case for certain they were the driving force of the band. In this one, I take a bit more responsibility. I know that being 50 percent of a band is heavy duty, so i think I’ve tried to step up and be more involved with song writing. It actually came from an episode of This American Life. Two sisters had this club called the smart set…we were listening to it and when we heard their club name I think I told Dillon that would be a sweet name. I wrote it down in my phone, and a few month later when we started playing we went with it. I think partly because when we started it was only the two of us, and we just kept playing that way. We have played with people doing cover songs for a few shows, and have talked about how nice it may be to add synth or another guitar or something, but I like playing with just two. Its nice for loading and unloading things. Set up is super easy, and like I said it gives us a little, and emphasis on little, edge. It came about by a really nice guy named Mark at LCCC. He had gotten us shows at the Plains and then told us about a battle of the bands here. He and all the ladies and gents at the student activities council. They have been really really great to us. I think they do a heck of a job trying to have things to do for the students and faculty at LCCC. We have an Ep out called Tito Loves It! There are two versions, one with real artwork and production value in the packaging, and the cheap-o version, with just the songs. We play in Ft Collins with The Photo Atlas December 10th. We are always looking for shows around town, so we may be playing here soon. Know of any good house parties? Do you own a venue and need an opening band…we would love to play! The future of The Smart Set is going to be out on the West coast. We are moving to San Francisco in the middle of January, and hopefully we can get do a tour soon. That’s a goal of mine to tour by the summer of next year.